So as you can see from this list, if you have moss, mold, slime, algae, or lichen growing on pretty much anything Sure Thing will clean it off for you. 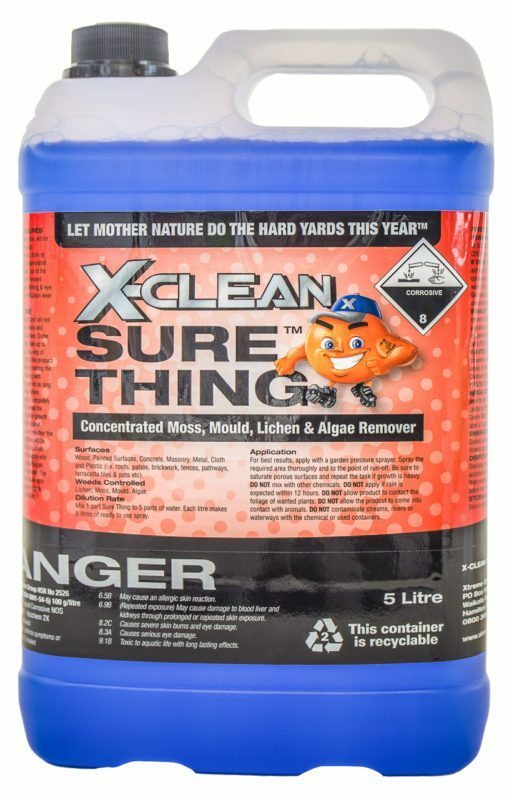 If you have something that isn’t on the list but you want to clean moss, mold, slime, algae, or gunge off it, give us a call on 0800 366 292 and we’ll be able to tell you if Sure Thing is the right product to get. This entry was posted in Sure Thing and tagged Sure Thing.